The holiday season is here and this girl can not be more excited! 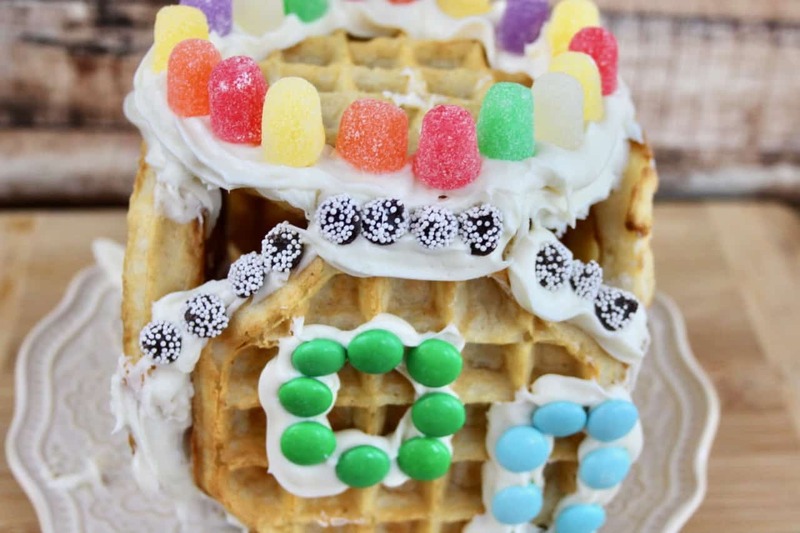 We love special breakfasts and activities during this season and we made these awesome Eggo waffle houses. 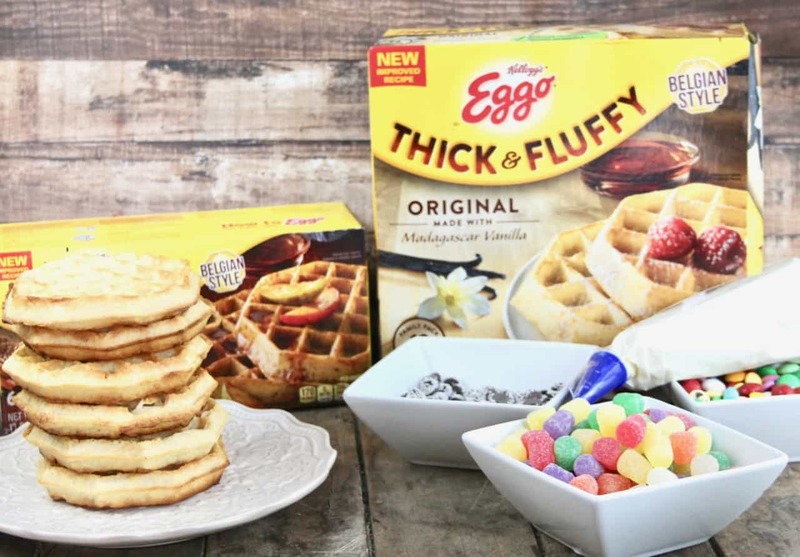 We love having Kellogg’s® Eggo Thick & Fluffy Original waffles everyday now available with Madagascar Vanilla as a regular breakfast option. 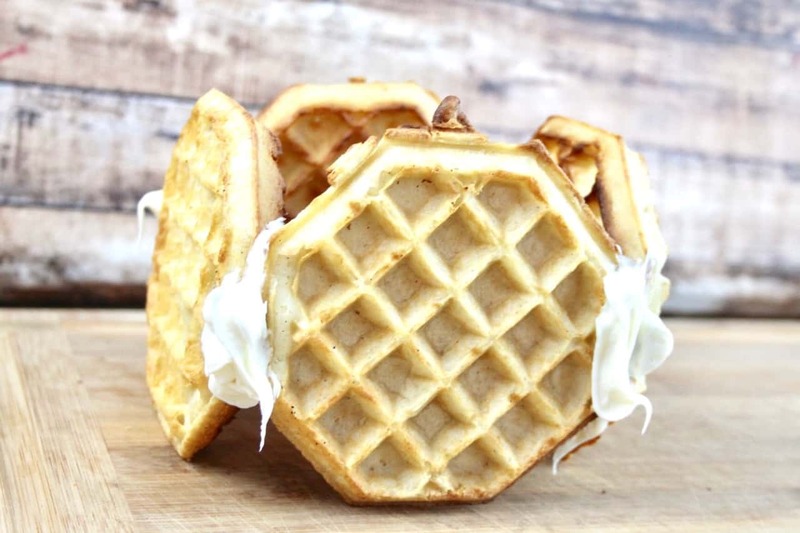 There is nothing better than a Belgium waffle and Eggo has elevated their waffles with a new and improved Thick & Fluffy Belgian Style Waffles. 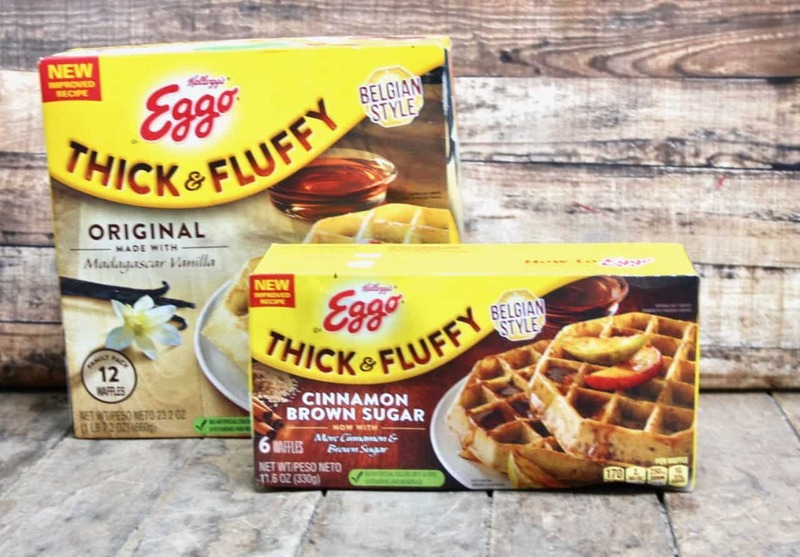 We also love the Kellogg’s® Eggo Thick & Fluffy Cinnamon Brown Sugar Waffles variety. 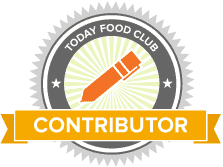 They now have 50% more Cinnamon and 15% more Brown Sugar for even more flavor. 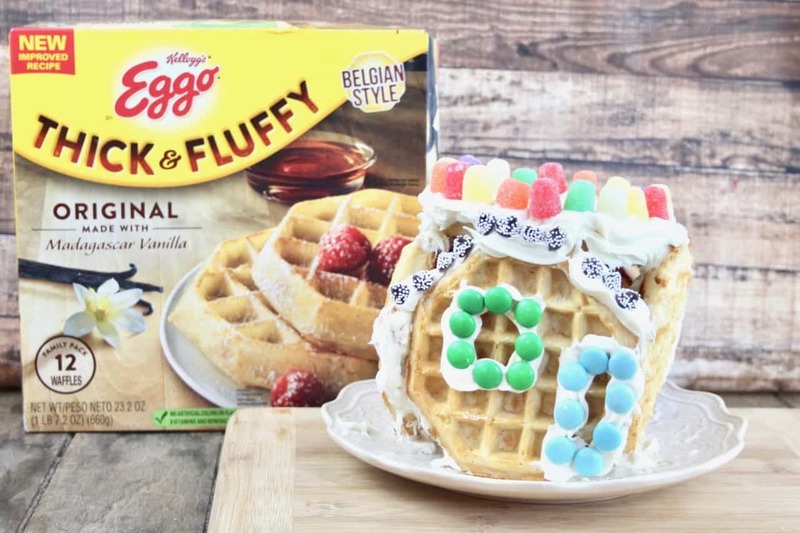 Eggo Waffles are a great solution for so many occasions like simple, quick breakfast for your family, a nutritious breakfast for the health conscious, or an indulgent savory meal or complex dessert. 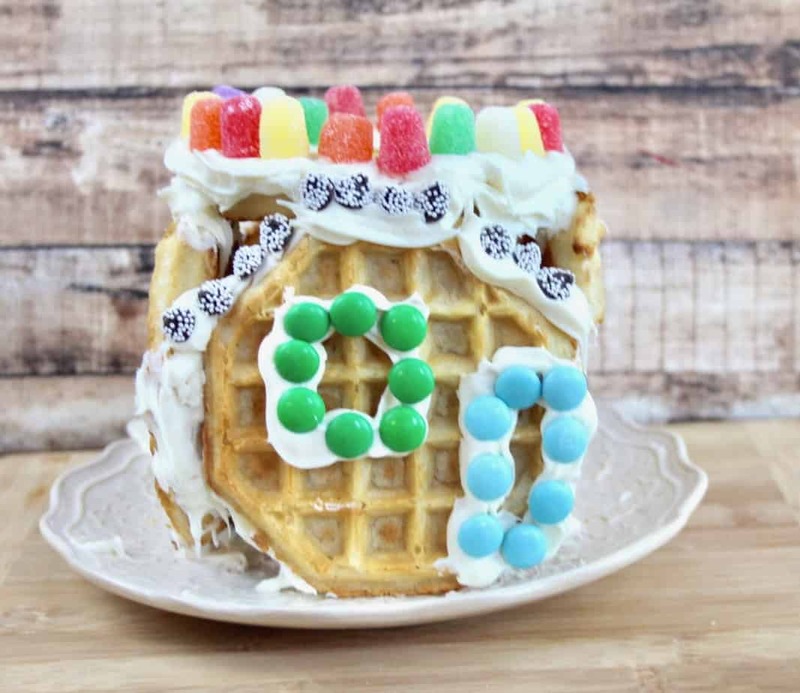 Our holidays usually involve making sweet houses and this year we decided to break out of the norm and make our “homes” with Eggo waffles, our sweet dessert. Toast the waffles according to the package directions. Let cool. 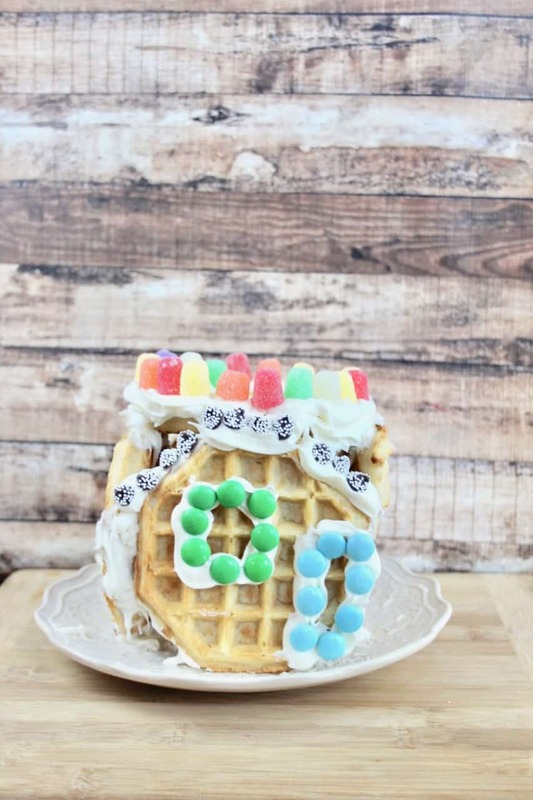 Build your house using vanilla icing as the glue to hold the house together. Let the icing set before decorating. Decorate with your favorite candy. This was such a fun and indulgent treat that we had a blast making together. The kids loved to eat the waffle house after they were built and we had a great time as a family working on these. Click here for more inspiration. I tried using the Walmart Online Grocery Pickup with this order and it was so easy and convenient. 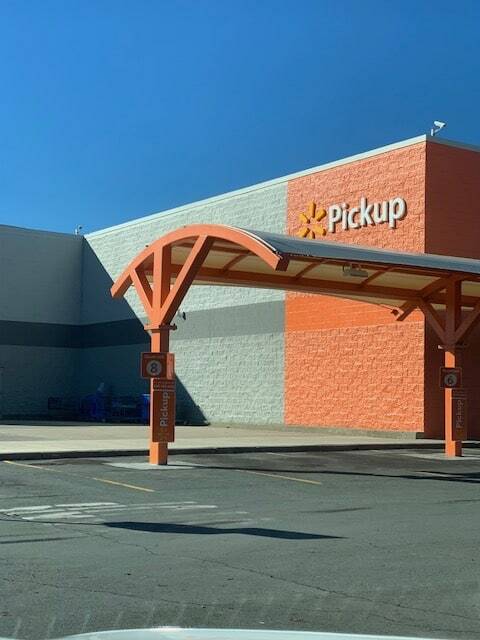 Simply go online and place your order, when you get to the Walmart location go to the orange signed area for your pickup. Huge time saver and you do not have to wait in line or battle the crowds- perfect for this busy time of the year. 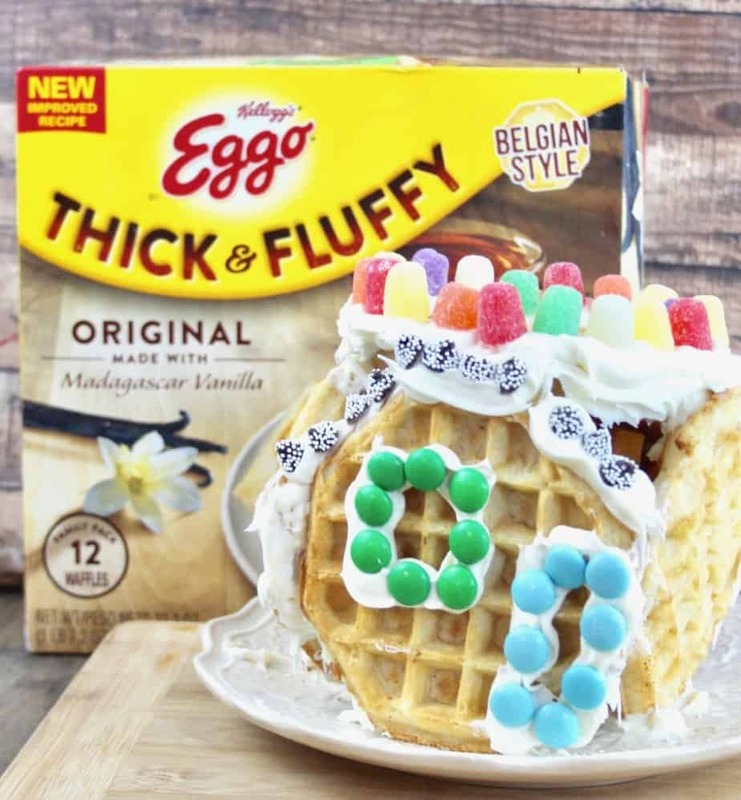 Be sure to pick up your favorite variety of Eggo waffles and try these holiday houses with your kids!